Present state: Although the platform has been demolished, the concrete base for the waiting room, which stood behind the platform, is still extant. 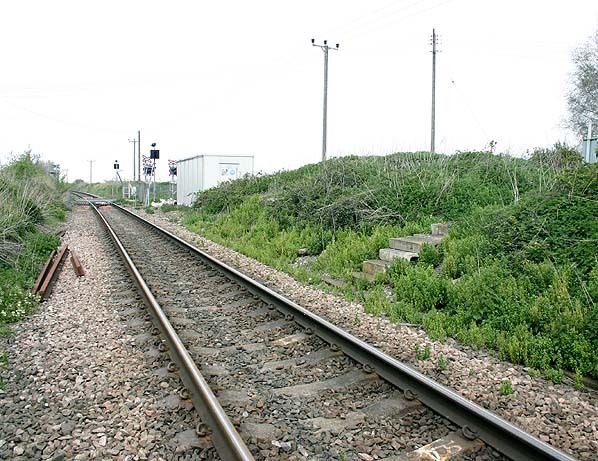 Notes: Wybourne siding was on the west side of the level crossing with High Halstow Halt on the east side. Wybourne siding predated the halt. Origins of the railway on the peninsula go back indirectly to the Continental Trade Agreement whereby the LCDR and SER agreed to share all receipts from Kent Coast and Continental traffic in various proportions. In 1876 the LCDR violated the terms by opening a railway pier at Queenborough with angered the SER who immediately revived the scheme for a line from Gravesend to the Medway and to achieve this end, they instigated a supposedly independent company called the Hundred of Hoo Railway Company. As the route from Charing Cross to Port Victoria (as it was to be called) was 40 miles compared to the LCDR’s 52 mile route to Queenborough, the SER were convinced the route would be successful. Initially the Port Victoria branch had only two intermediate stations at Cliffe and Sharnal Street but in 1906 new halts were added to serve villages at High Halstow, Beluncle, Middle Stoke and Grain Crossing. Between Cliffe and the junction with the Gravesend to Higham line, a halt was provided near the British Uralite works that had opened in 1901 and was used mainly by workmen’s traffic. 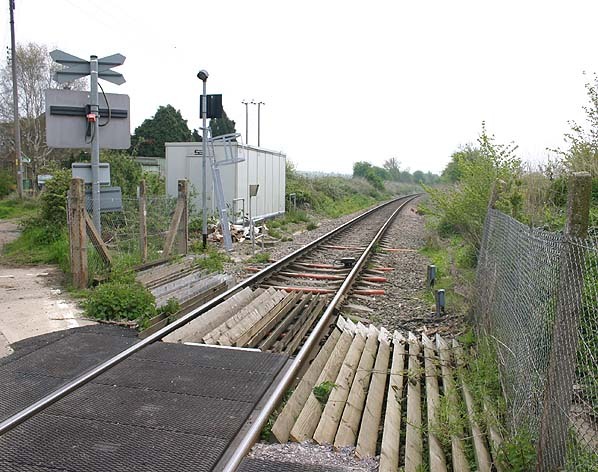 Three further halts were also provided on the main line at Milton Road, Denton and Milton Range. The halts were all of timber construction but were later rebuilt in prefabricated concrete. Milton Road was short lived and closed during WW1 as an economy measure. It had never been popular due to its close proximity to Gravesend Central and it never reopened. 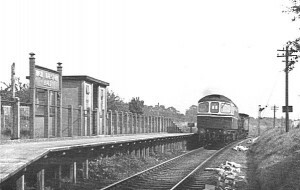 Passenger traffic continued to dwindle after the First World War but at the same time freight traffic was developing with the opening of the Medway Oil and Storage (later Power Petroleum Company) Company’s new depot at Grain in 1928. The pier continued to deteriorate and by 1931 no trains were allowed onto it and a temporary wooden platform was built at the landward end while a basic concrete platform was completed on safer ground. 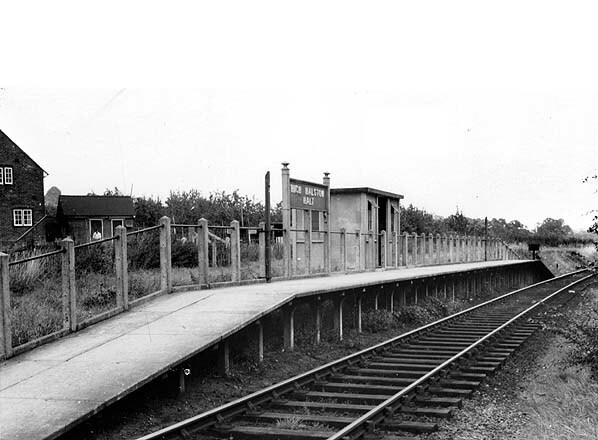 The popularity of Allhallows was improving by the late 1930’s and the Southern Railway considered doubling the whole line. The proposal was put on hold on the outbreak of war in 1939 and was eventually abandoned.